Camping World Truck Series driver Stewart Friesen may be a NASCAR newcomer, but he’s a veteran when it comes to dirt racing. Learn more about this Canadian driver – celebrating his 35th birthday this week – in this week’s Fast Facts. Stewart Friesen was born July 25, 1983 in Niagara-on-the-Lake, Ontario, Canada. His family owned Ransomville Speedway in Ransomville, NY for more than 40 years, and Friesen grew up around the local dirt tracks in Western New York and Southern Ontario. Friesen began his racing career in go-karts, then moved into dirt modifieds and occasionally raced sprint cars. He has amassed more than 230 victories on dirt, including five in the NAPA Super DIRT Week Big-Block Modified event (four at the NYS Fairgrounds, one at Oswego Speedway). 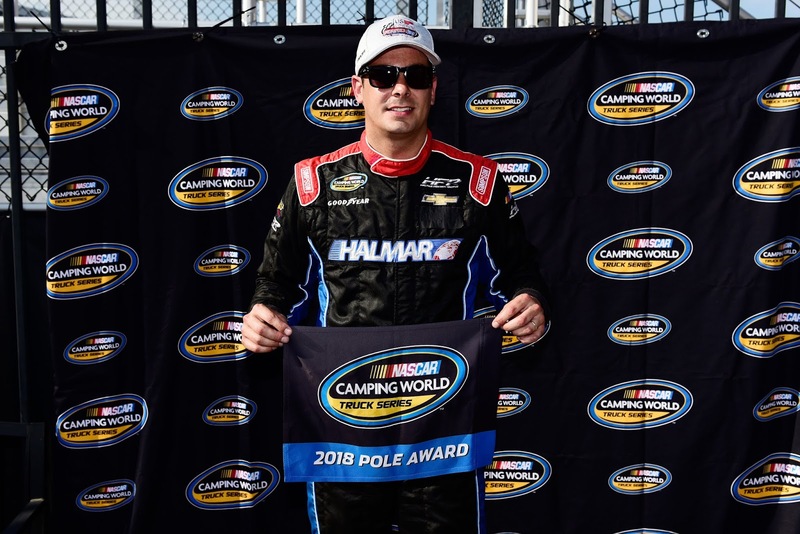 With those credentials, it’s no surprise that Friesen’s first NASCAR race was the Truck Series event at Eldora Speedway in 2016, where he started 12th and finished 28th after a wreck. He raced five more asphalt Truck Series races that season, with a best finish of 13th at New Hampshire Motor Speedway. 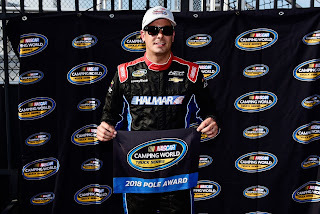 In 2017, Friesen and Chris Larsen created Halmar Friesen Racing to compete full-time in the Truck Series. Friesen finished 14th in points that year, earning five top 10 finishes, including a career-best to date runner-up finish at Eldora. So far in 2018, he has added two more second-place finishes to his resume and has finished in the top 10 in eight of 13 races. Friesen is married to fellow driver Jessica Zemken; they have a son, Parker, who often visits victory lane at northeastern dirt tracks with his father. Find out more about Friesen at his website, stewartfriesen.net.